MEDICINE HAT, Alberta — Kurt Remple, a toothless, unemployed, struggling alcoholic in Medicine Hat, the curiously named prairie town in Alberta, is a success story of sorts. Five years ago, he was living under a bridge and surviving on free meals from charities. Today, he lives in a small but tidy one-bedroom apartment in a stucco bungalow. For more than a decade the Calgary Dream Centre has been leading Calgary men on a path to recovery from homelessness and addiction, and now, they’ve opened their doors to women too. A 10-year plan to end homelessness in Yellowknife could cost $170 million, the consultant developing the plan told city councillors this week. Dr. Alina Turner says the sum is “a huge amount” but said the end result would be worth the money. Turner has been working on the plan since February and was delivering an update before her final report in June. Kelowna's aging population is twice that of the rest of Canada's, making up a third of Kelowna's population. Hidden homelessness is a term Alina Turner is using to describe vulnerable groups at risk of homelessness who often go unreported. Housing activists in Canada have long decried the hypocrisy in their nation's rhetorical commitment to housing as a human right while its affordable housing supply has shrunk and fallen into disrepair. A standing committee of the House of Commons is in Medicine Hat, looking to hear success stories from those who developed and initiated strategies to end homelessness in this community. “Turner Strategies has completed more than 50 projects that focus on resolving complex social issues, like poverty and homelessness. We are excited to incorporate and learn from such an exceptional national expert,” said Martin Bell, Journey Home Task Force co-chair. Several cities and regions have announced that they have “ended homelessness,” as this goal has become a major part of policy and community-based responses to homelessness. Newfoundland Labrador Housing and Homelessness Network & Labrador Institute partnered to offer this unique free on-line learning experience that had a focus on rural Labrador, though it is also relevant to other rural communities. If you’re looking to access community services, need help or are having trouble making ends meet, starting next week there will be an app for that, it was announced at Monday night’s city council meeting. 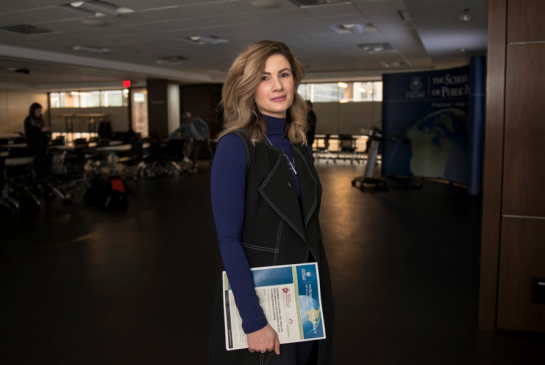 Alina was the Vice President of Strategy at the Calgary Homeless Foundation, the organization leading the implementation of Calgary’s 10 Year Plan to End Homelessness until 2013 when she left to pursue consulting in the non-profit sector. Communities across Canada and around the world have embarked on a wide range of initiatives with the goal of ending homelessness. Members of Calgary's Youth Homeless-Serving System of Care will be gathering May 5 to launch the 2017 refresh of the Calgary Plan to Prevent and End Youth Homelessness. © 2018 Turner Strategies. All Rights Reserved.